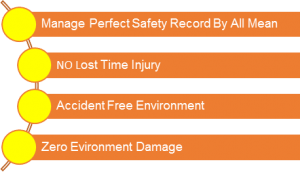 CAC is commited to provide the highest level of safety at all time. Corporate HSE Policy has been developed and continualty manage to meet the international HSE standard. We ensure all products we use and supply are enviroment friendly and safety guaranteed. Corporate HSE programs are binding for every employee, and we are dedicated to circulate our HSE management system to the level of understanding of each employee; this is done through regular HSE training program for both site and office personnel.